demon sonic. 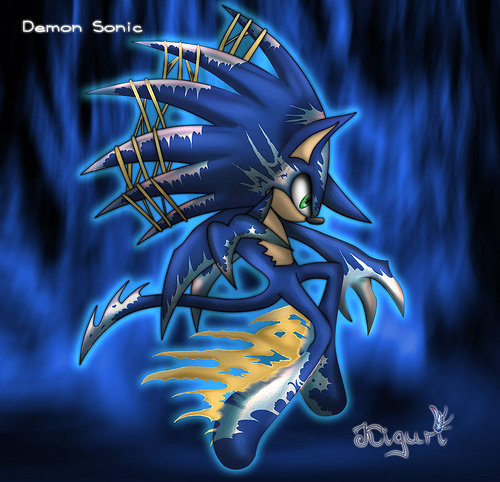 sonic in demon form. Wallpaper and background images in the 刺猬索尼克 club tagged: sonic. that is so awesome... i know i have isues. U don't have isues! That is freakin awsome!!! Uh oh. Looks like Sonic finally played Sonic.exe.